Have you ever told someone you would pray for them only to see them again a few days later and realize you had forgotten? Us too! That is why we made Prayer Notebook. 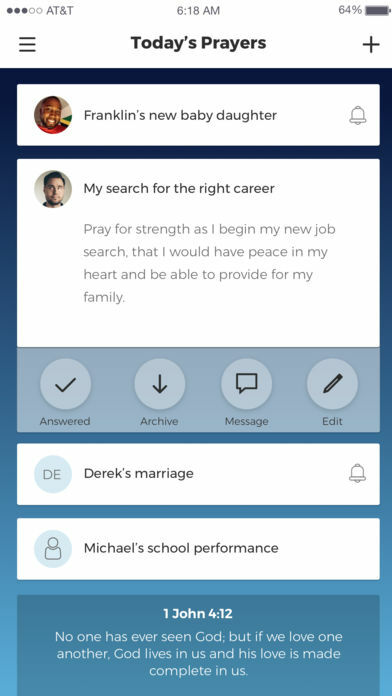 We want you to be able to organize your prayer life so that you can focus on what's most important, prayer. Get notified when new features are released.